Jaco Hills Condo w. OCEAN VIEWS in Playa Jaco, Jacó is Sold! in Playa Jaco, Jacó The 2 story at Jaco Hills Condo w. OCEAN VIEWS has been sold. Posted on June 27, 2017 Author Jaco Area PropertiesLeave a comment on Jaco Hills Condo w. OCEAN VIEWS in Playa Jaco, Jacó is Sold! 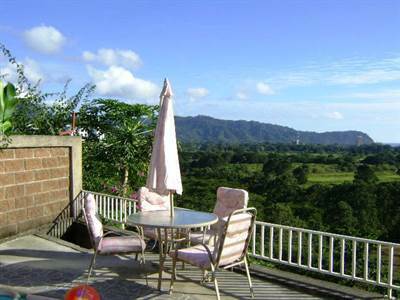 Jaco Hills 3 bdrm Town-home w.private pool, Ocean Views, Rental Income in Jaco, Jaco is Sold! in Jaco, Jaco The 2 story at Jaco Hills 3 bdrm Town-home w.private pool, Ocean Views, Rental Income has been sold. Posted on June 27, 2017 Author Jaco Area PropertiesLeave a comment on Jaco Hills 3 bdrm Town-home w.private pool, Ocean Views, Rental Income in Jaco, Jaco is Sold! Excellent Buyer’s Market Opportunity to own in one of the most coveted and gorgeous developments in Central America, with world-class amenities. This beautiful and spacious 2 bedroom La Colina Residence is located within the Los Sueños Resort and Marina, and just a short stroll to all of the resort´s amenities, including the world class marina, the Hotel Marriot, the 18 hole Los Sueños Golf Course, Private Beach Club and town center with restaurant and bars, and more. Walk a private garden path to all of this in just minutes. Featuring classical colonial architecture, the Colina Residences offer 1567 square feet of interior living space and 2 covered terraces from which to enjoy the splendid rain forest views. The Colina Community includes two large swimming pools (one for adults, one for adults with children), large Jacuzzi, barbecue areas, air-conditioned gym and lush landscaping. 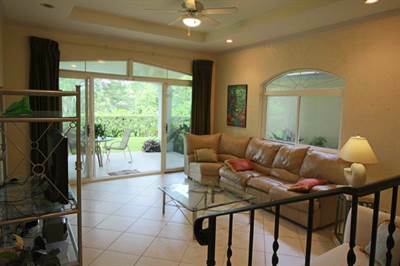 Property is fully equipped with gourmet kitchen, central air, full sized washer and dryer, and basic furnishings. This is an empty palette for new owners to add their personal touch, although is rent-ready now. Each owner enjoys incredible beach club, a separate storage area, covered parking, with room for golf cart (as needed). The deep sea fishing from this Marina is some of the best in the world with annual sail fish tournaments and festivities. Call or write today on one of the lowest prices in this area for a Los Sueños residence. 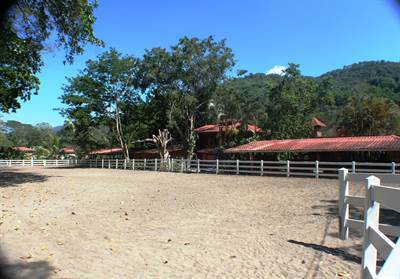 Horse Farm or Develpment Property for Sale in Punta Leona, Garabito is Sold! in Punta Leona, Garabito The single story at Horse Farm or Develpment Property for Sale has been sold. Posted on June 6, 2017 Author Jaco Area PropertiesLeave a comment on Horse Farm or Develpment Property for Sale in Punta Leona, Garabito is Sold!